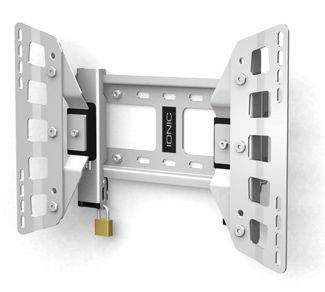 More on the Ionic Flat Series Mounting Bracket With Tilt (For Flat Screens Under 32 inch) FLEXO below. 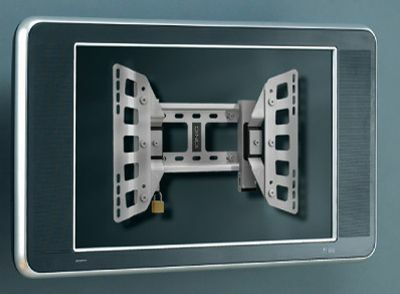 Ionic's "Flat" series flexi-mount is designed for 26-32" flat panel displays. 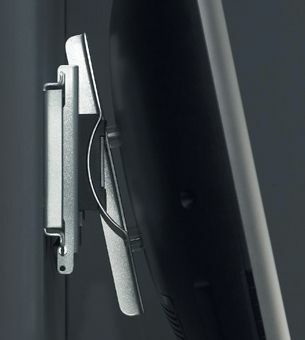 A flat, low profile design for minimal mount visibility. An expanded, 165 pound (75kg) weight capacity. Easy fingertip adjustment, using the integrated rotary knob. Range of Screens Supported: 21 to 27 in., 28 to 32 in.